Lord Peter Hain: This is war! Lord Peter Hain, anti-Apartheid campaigner who became a Labour Party cabinet minister and is now in the House of Lords. The Right Honourable Lord Hain of Neath is not going to give up the fight for democracy and justice in South Africa. He has made this clear after being targeted by Zupta bots in an ugly smear campaign on Twitter. Here are some snapshots of his background and work in the interests of South Africa. Born in 1950 and brought up in Pietermaritzburg, Ladysmith and Pretoria South Africa, he has been in politics for over 50 years. He went to school at Pretoria Boys High. His South African-born parents were Adelaine and Walter, who were jailed in 1961 without charge and then banned (Adelaine 1963) (Walter 1964). They were the first married couple to be banned and had to have special clauses inserted allowing them exceptionally to communicate with another banned person, (normally prevented) namely each other. Before that Adelaine had attended Mandela’s first trial in the Old Synagogue in Pretoria where she was the only white in the whites-only gallery and when he entered the dock he would raise his fist to salute her which she returned. For their anti-apartheid activism in Pretoria – including taking lunch to Treason Trial defendants, Mandela and Sisulu amongst these, they were forced to leave with four children for exile in London in March 1966 (Peter aged 16) after the Government instructed all architectural firms from employing Walter. Walter served in Italy with the South African army in the second world war (1944-45). Aged 19 in London, Peter became a British anti-apartheid leader, especially in stopping all-white South African sports tours from 1969 onwards. He invented the tactic of direct action against whites-only tours and chaired the Stop the Seventy Tour campaign which heavily disrupted the Springbok rugby tour of 1969-70 and threatened to wreck the 1970 cricket tour until it was finally cancelled. White SA never toured again until after the transformation. His book on the campaign Don’t Play with Apartheid was published 1971. He was prosecuted for four counts of conspiracy involving over 900 particulars in a 4-week trial in the Old Bailey financed from South Africa, finally being acquitted of the three most serious counts involving cricket and rugby protest and convicted with a £200 fine for disrupting a white SA-Britain Davis Cup tennis match July 1969. In June 1972 he received a letter bomb from BOSS of the same kind which later assassinated Ruth First and other A-A letters aboard; fortunately there was a fault in the trigger mechanism and the metropolitan Bomb Squad made it safe, informing the Hains that the entire family and their South West London house would have been destroyed by its power. In October 1975 he was charged in a bizarre case of mistaken identity for a bank theft of £490 worth of £5 notes at Barclays Bank branch near his home in Putney outside which he had protested several years before against its presence in apartheid SA. After a two week trial again in the Old Bailey he was acquitted and only afterwards was it revealed what many suspected that the thief was a South Africa agent who looked like him. He is a Vice-President of Action for Southern Africa (ACTSA). He is Chair of the UK Committee for the OR Tambo 2017 Centenary. MP for Neath 1991-2015, Lord Peter Hain served in the Labour governments of Tony Blair and Gordon Brown for twelve years, seven in the Cabinet. As Secretary of State for Northern Ireland, he negotiated an end to the conflict, bringing old enemies together in government in the peace settlement of 2007. In November 2015 he was introduced to the House of Lords. The author of 21 books, his memoirs Outside In (London, Biteback 2012; and his parents story Ad & Wal: values, duty, sacrifice in Apartheid South Africa (London, Biteback, 2014). His concise 2010 biography Mandela will be updated and published next year. 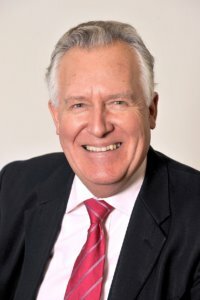 Lord Peter Hain is Chairman of the Donald Woods Foundation charity, which is based at Hobeni Transkei, Patron of the Canon Collins Trust and Visiting Professor at the University of Witwatersrand Business School.